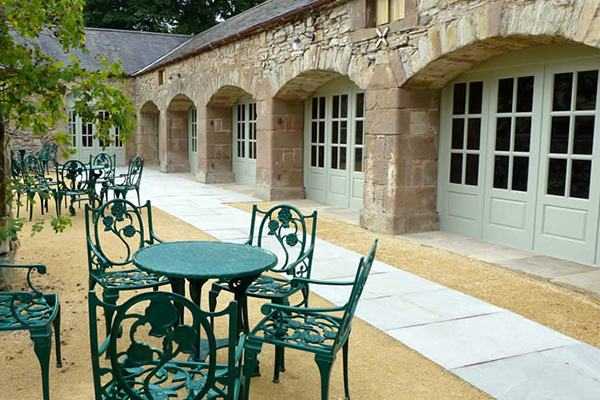 In the grounds of Wedderburn Castle are the atmospheric Wedderburn Barns – the ideal venue for more informal wedding parties. A picturesque Georgian stable block surrounds a courtyard where marriage ceremonies can be held in good weather. The rustic barns can accommodate up to 150 guests for dinner and dancing after the wedding ceremony. This is a super venue for couples that wish to celebrate their marriage in a more relaxed environment with plenty of scope for putting their own style on the venue. There are also options to book accommodation and a ceremony in the castle. Situated in beautifully private grounds the venue has good access to the A1 to Edinburgh and South to Newcastle.